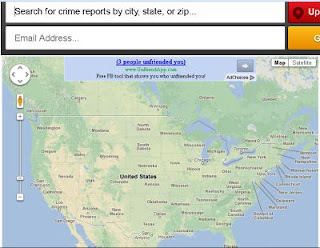 Just click the link below to go to the Spot Crime website. Once you are on the website type your address in the address bar at the top of the page. Wait for the icons to come up & hover over the icons with your mouse to get more information on what type of crime was commited.